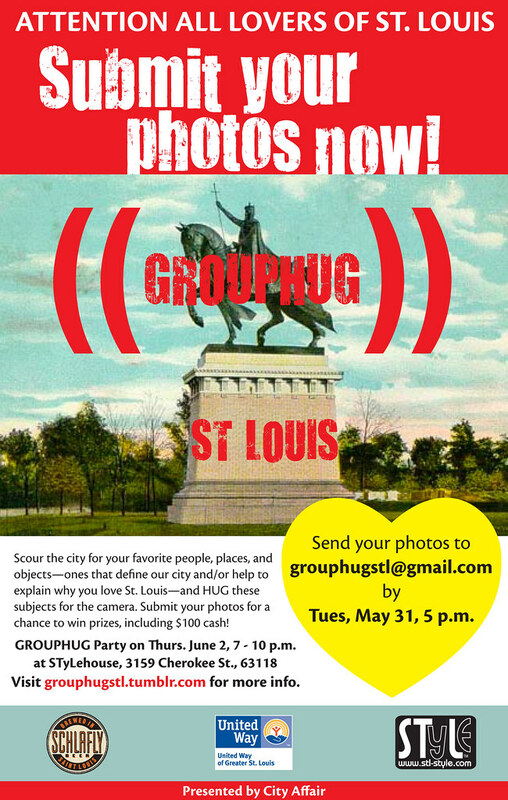 Calling all STL Building Huggers: Show some LOVE for your favorite building in St. Louis whether it is endangered or not, have someone snap a pic of you giving your favorite a hug, yes, literally give it a hug!, and submit the photo to GROUPHUG St. Louis! Come to the GROUPHUG party on Thursday, June 2nd at STyLehouse, and check out everyone else's expressions of love. There will be prizes for the best photos, as well as a raffle and other prizes. The GROUPHUG website has all the information about the event and submitting your photos. This STL love-fest is being presented by City Affair. I don't normally use this space to promote events, but besides my involvement with City Affair, this unique event is intended to raise your awareness of the things that you love in St. Louis and make it a great place to live, whether it is your favorite endangered landmark or neighborhood row house, Ted Drewes concrete stand, the Gateway Arch or your favorite piece of public art. Twain is calling your name... Go HUG IT! In the mean time, some of you may be wondering what happened to Vanishing STL? I'm still here, but have been busy for the last several weeks putting together the final drawings for the renovation of the Metropolitan Building on Grand Boulevard across from the Fox Theater. 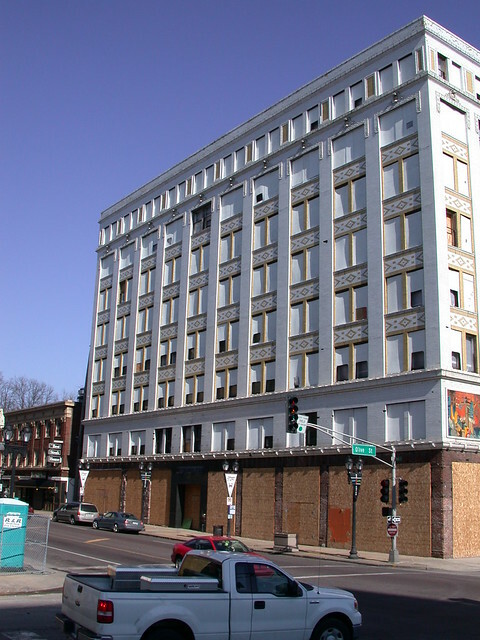 Built as an office building in 1906 but abandoned for about 25 years, the Metropolitan will be converted to affordable artist loft apartments. Construction should start in July. The Metropolitan Building at Grand and Olive. The Metropolitan Building has some major structural issues, which has sent many developers running away scared over the years. Its general condition is worse than that of the Arcade Building. However a three year hiatus on the building's redevelopment after Pyramid collapsed has been filled by Dominium Development of Minneapolis. 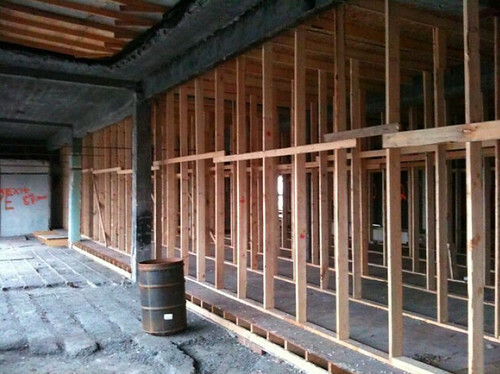 The photo above shows the shoring that is currently keeping the buildings roof structure from collapsing. On top of the structural issues, extensive masonry work makes this project extremely challenging from a financial standpoint, but it will be another major anchor to Grand Center when completed.